An image made with divergent light is a contradiction. Pinhole is a contradiction. There is no focus because light diverges and yet there is an image. Somewhere between brightness and sharpness the picture happens. The larger the hole the more light passes, however, more light overlaps and blurs objects’ contours and details. Less light demands longer exposure times for image recording. Beyond a certain threshold the very idea of ​​image dissolves; it becomes a heap of fugitive scenes, separated in time, mixed up and incomprehensible. 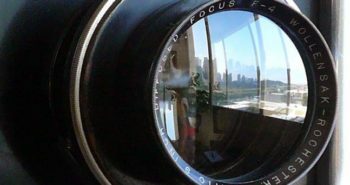 While photography with lenses almost succeed in hiding it, pinhole photography highlights how much image is nothing but a concept. Far from anything we could possibly call reality. That might be the reason why photographers, when they use pinhole, find in that a good opportunity to challenge the concept of a camera as a specialized, professional and scientific instrument. They line up with Lomography, Toy Cameras, photographic gadgets and other ways to scorn “serious” photography. 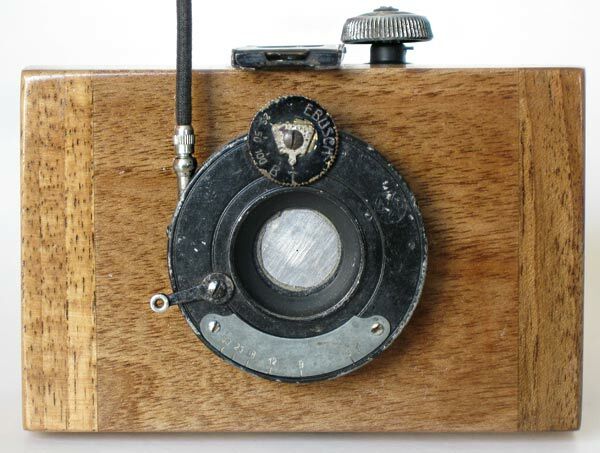 Pinhole cameras are not bought, they are homemade. Perhaps because of my scientific background I cannot get very much into the spirit I just described. The two pinholes I made were attempts of a certain level craftsmanship that work like a confession of a deeper respect for images. 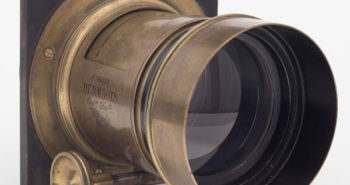 The hole through which the light enters, picture above, is centered on the height of the can and the horizontal center of the picture. 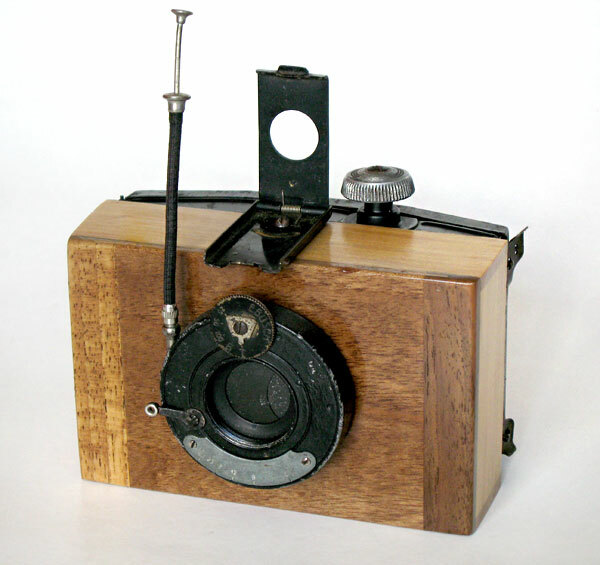 In the first of these cameras, maybe not so much, because it was made with a Nivea Cream tin – a left over in a sense. When I got the tin I recognized the height of a 35mm film and then I already knew what its destination would be. But the idea of fixing a strip of film with tape and going out for just one shot seemed to me of very low productivity. Specially considering that I rarely get my pictures in my first attempt. That’s how I decided to shape an internal circuit with PVC to store some more film. Film advance is made with a rack taken from a real camera and, in order to keep the “camouflage” character as a Nivea Cream tin, I need to carry a small screwdriver in my pocket to advance the film. 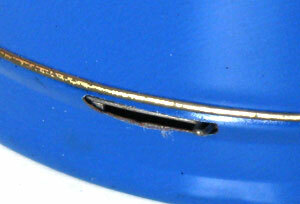 It is necessary to turn the screw at the bottom part of the can, giving it two and a half turns. That gives a panoramic photo of 24 x 85 mm. There is no spool for the film, it is simply loose and curled into a rounded chamber and the rack trips it through the frame where it will be exposed and then roll it again into another smaller chamber. One can take something like 8 photos with this system. With more than that, the film already begins to resist a lot to wrap itself in the second chamber. 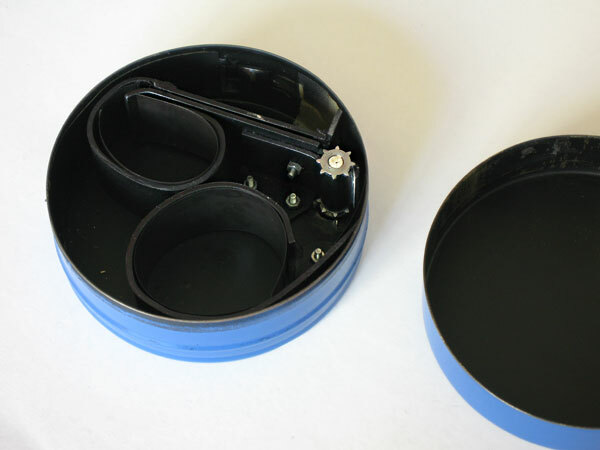 To shoot there is a slit on the side of the tin where a lever, that barely comes out, makes an inner cover slide and open the hole. 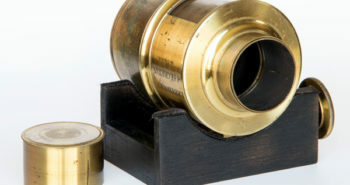 Being a sort of a disguised camera, would not make sense to include in it a tripod thread. It would be a bit bizarre a tin of cream mounted on a tripod. But it certainly needs to be firmly placed on a surface to be able to hold for the long exposures that pinhole requires. With pinhole I like to explore very close objects with a distant background. I find interesting the indifference with which the little hole treats what is 10 cm or 10 meters away. Our eyes / brain, accustomed to photographs made with lenses, realize that there is something strange on top of the blur. It is as if the image, very good in depth of field, at the same time there shows no proper focus anywhere and that looks strange. You can see that this photo is already old by the design of the monitor in the background. 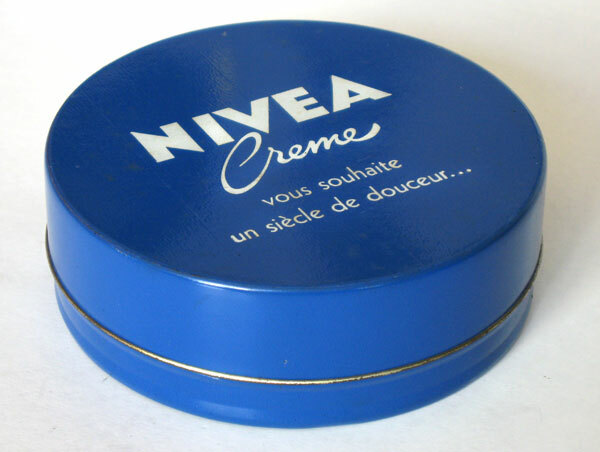 This Nivea Creme was a giveaway about the arrival of the 21st century. I built the camera and took the picture right away. 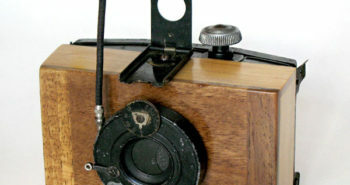 The other camera is the one that appears in the opening of this post. It’s fairly newer (Aug / 2017) and has been made almost entirely with parts of real cameras. A friend of mine gave me a 120 film adapter that would be used on 9×12 film cameras, such as the one from the Patent Etui at Kamera-Werkstätten – Dresden (on the left), which was already for 6 x 9 cm sheet film. 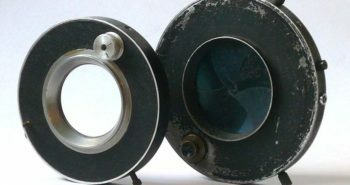 Manufacturers of accessories sold many of these adapters in former times. I just removed the parts that would be to fit it into the 9 x 12 cm rail and, left with only the adapter itself, I fixed it with four screws onto the camera body. I had also in store, from a box of photographic odds and ends I bought in Bièvres, a German shutter from Emil Busch (a major lens manufacturer) that probably fitted some mid sized drop bed camera. 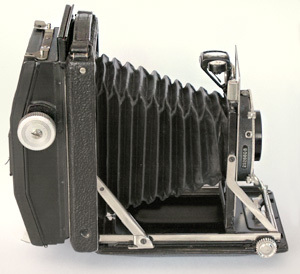 Then it was only necessary to adapt into the shutter a metallic plate with the pinhole and use the shutter flange to fix the assembly in front of the camera. 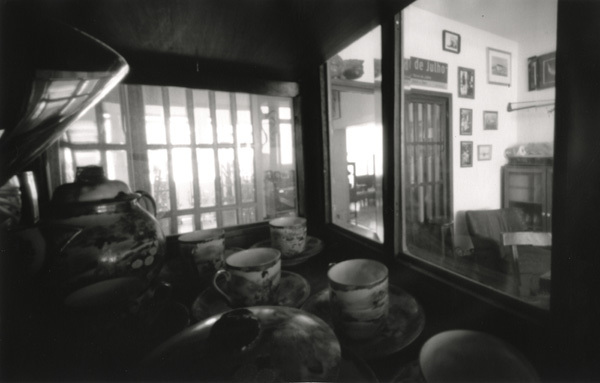 The reduced size and huge angle of view, 111° (see calculation here) provided by the 35 mm focal length in a 6 x 9 cm (real 58 x 83 mm) format, allows photos just like this one below, taken from inside a cupboard. I even planned to put a wire frame and make framing more precise through the “eyepiece” I installed, but belatedly realized that with 111º, no matter how far I could squeeze my eye into the eyepiece, I could barely see the edge of the wireframe. 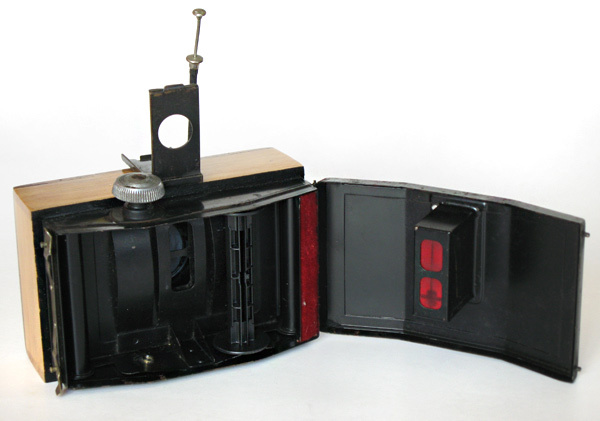 Then I left only the folding eyepiece that came from a scrap of an Ica camera. 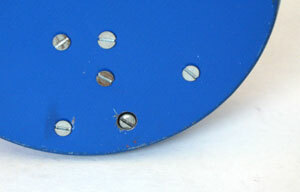 It is possible to guess the center of the photo only with the eyepiece, when there is access to it. That was not the case with this picture from inside the cupboard. In my house there is a Japanese coffee set so beautiful, so beautiful, made with a porcelain so thin, but so thin, that it never leaves the cupboard. This photo shows the view of the coffee-pot. The exposure was 12 minutes. The film was T-Max100, 120 format, shot as ASA100 and developed for 16 min in Pyrocat HD, dilution 1 + 1 + 100 at 20 ° C with agitation every 60 s. Above is a scan of a 20 x 30 cm enlargement on Ilford fiber matte. I find interesting, when making pinhole, to avoid interference from film grain. Otherwise you mix two softening effects of the image, that means, it gets a bit mixed up what comes from pinhole diverging light nature and what comes from film grain. This combination of TMax with Pyrocat HD is great for this purpose. The difficulty is to focus on the enlarger because even with a magnifying glass you hardly see the grain and the “sharpness” of the contours are not really there to help.